Where do pantry moths come from? Understand the pantry moth life cycle. Home / Blog / Where Do Pantry Moths Come From? 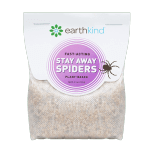 Have you ever noticed weird clumps in an old bag of flour, webbing along the corners or edges of food packaging, or rice that appears to be moving? If the answer is no, you’ve luckily managed to avoid this unsettling experience. If the answer is yes, you’ve seen pantry moths. Find out what causes pantry moths, where they come from, and the life cycle stages they go through. What is a Pantry Moth? The term ‘pantry moth’ usually refers to the Indian meal moth. The name “Indian meal moth” came from an entomologist who observed the moth larvae infesting cornmeal, which was commonly called “Indian meal” in the 1800’s. Pantry moths are on a mission. Their only objective is to reproduce. Moths infest places with an abundant food supply. This gives them a safe place to lay their eggs, giving their offspring the best chance of survival. Moths rely on their sense of smell to find a mate and a food source. Moths can enter your home through open doors and windows. They may also enter through openings around dryer vents, plumbing lines, or cables that pass through walls. Stowing away inside packaging or contaminated food from a store or warehouse is another common way moths get into your home. You may not notice them until they have already passed through the different phases of a pantry moth life cycle and you see an adult moth flying around your home. The Pantry Moth Life Cycle. Egg: Moth eggs are extremely small and a whitish grey in color. An adult female moth can lay approximately 400 eggs at a time, and they can hatch in just 7 days. Larva: This is the stage that causes damage. Moth larvae are tiny worm-like eating machines. Their color can be affected by the food they are eating, and the frass (waste) and casings they leave behind will contaminate food, making it unusable. The larval stage typically lasts 2-3 months depending on conditions. Pupa: Moths in the pupal stage are in cocoons, usually hidden in cracks, corners, or crevices. Sometimes the cocoons are buried underneath food, causing the matted webs and clumps that may be found when cleaning after a moth infestation. Moths usually take 15-20 days to develop from pupae into adults. Adult: Adult moths appear as winged insects that are attracted to light and fly all around. The purpose of flying around is to find a mate so they can reproduce. They do not having working mouthparts and cannot eat, meaning their only objective is to reproduce. However, since the other stages of the moth life cycle are incredibly stealthy, you may not notice an infestation until this stage which can last one to two weeks. Pantry moths aren’t known for spreading disease, but they can contaminate food in the home kitchen or pantry which is unsettling to see and expensive to replace. In food processing facilities, their webbing can cause major damage to machinery. 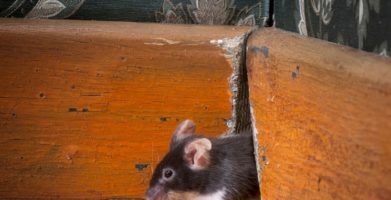 Preventing household pests is easier than cleaning up after an infestation. If your home is already infested, then it’s important to be proactive with the issue. Learn more about preventing and getting rid of pantry moths naturally here. How can you tell where they are coming from? Finding the source of a moth infestation can be tricky. Infestations usually result from bringing something into your home that already has moths (or moth larvae). To identify the contaminated item, you will need to examine each item in the pantry or cupboard. Use this opportunity to transfer items from the original packaging to an air tight storage bag or container if possible. While you are doing this, make sure to clean shelves, baseboards, flooring and walls (pay special attention to corners and hard to reach areas) to get rid of any moth eggs that may be waiting to hatch. Hi, I work in a health food store that carries bulk grain & nuts. We have been dealing with these moths for some time. A pest control company comes in & puts out the sticky traps & it helps some but we still are throwing food away. My question: We have several non-working refrigerators. Would storing some of the food items in those at least help reduce the moths? Could they get out or would it at least trap them in a smaller area if in the foods? The best way to prevent moths is by storing food in sealed containers, which can be challenging when dealing with larger quantities and environments. Storing goods in non-working refrigerators may help contain the moths. Moths cannot survive extreme temperatures, so if possible, try placing items in a freezer for one week to kill any existing larvae, preventing further infestations. As you mentioned, trapping can help to catch some of the moths, but it doesn’t exactly solve the problem. We would recommend using a repellent like Stay Away Moths to prevent recurring infestations. Start by disinfecting the area to remove any existing larva. 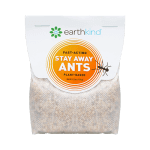 After you have cleaned up, pouch up the warehouse with Stay Away Moths repellent pouches. This will keep the moths away releasing a proven blend of essential oils that repel moths for up to three months. The best part is that the ingredients will not contaminate the food, unlike other products such as mothballs. Please contact our Customer Care Team (customercare@earthkind.com) to discuss more ways we can help your business and process your order. We have plenty of retailers that use or products to repel pests and protect their investments. When the eggs hatch can the larva move onto the next stage without ever finding food? I had a bad infestation of moths and cleared out the whole pantry, cleaned it with bleach, caulked all the cracks in my cupboards. For a few weeks there were still a lot of moths appearing from behind the empty cupboard, presumably hatching from whatever cocoons were left in nooks and crannies I couldn’t find. I killed them as soon as I saw them and thought things were finally almost over – it’s been a week now since I’ve seen any moths. But today in the still-empty cupboard I found a brand new COCCOON (out in the open, in an obvious spot I’ve cleaned a zillion times – there is no way it’s an old one and I just missed it). I’m surprised because there is no food anywhere the larva could have reached. My pantry has been empty for several weeks, with all food still stored in the fridge/freezer. So if more new larva hatch and there is no food, will they be able to continue the life cycle instead of starving? You are in the right path! Do not give up. It can take quite a while to get rid of pest infestation. Continue doing what you are doing. When the moth lays the egg, they do it in a dark place and leave food behind with them. An adult (imago) most have been around or eggs remained hidden. So cleaning and getting rid of the food (like you are doing) will starve them to death. It does takes time, but it seems that you are close. 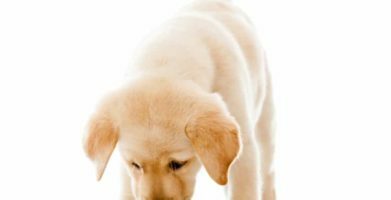 Have you ever noticed weird clumps in an old bag of flour, webbing along the corners or edges of food packaging, or rice that appears to be moving? If the answer is no, you've luckily managed to avoid this unsettling experience. If the answer is yes, you've seen pantry moths. The term 'pantry moth' usually refers to the Indian meal moth. The name "Indian meal moth" came from an entomologist who observed the moth larvae infesting cornmeal, which was commonly called "Indian meal" in the 1800's. Moths can enter your home through open doors and windows. They may also enter through openings around dryer vents, plumbing lines, or cables that pass through walls. Stowing away inside packaging or contaminated food from a store or warehouse is another common way moths get into your home. You may not notice them until they have already passed through the different phases of a pantry moth life cycle and you see an adult moth flying around your home. The Pantry Moth Life Cycle. Adult: Adult moths appear as winged insects that are attracted to light and fly all around. The purpose of flying around is to find a mate so they can reproduce. 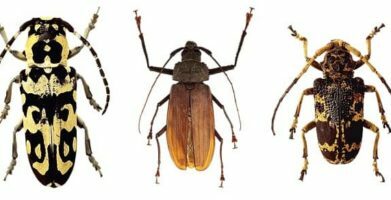 They do not having working mouthparts and cannot eat, meaning their only objective is to reproduce. However, since the other stages of the moth life cycle are incredibly stealthy, you may not notice an infestation until this stage which can last one to two weeks. 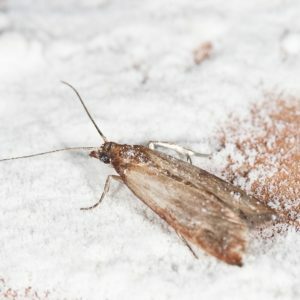 Pantry moths aren't known for spreading disease, but they can contaminate food in the home kitchen or pantry which is unsettling to see and expensive to replace. In food processing facilities, their webbing can cause major damage to machinery. Preventing household pests is easier than cleaning up after an infestation. If your home is already infested, then it's important to be proactive with the issue. 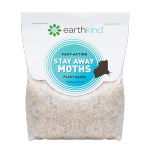 Learn more about preventing and getting rid of pantry moths naturally here. string(32) "Where Do Pantry Moths Come From?"